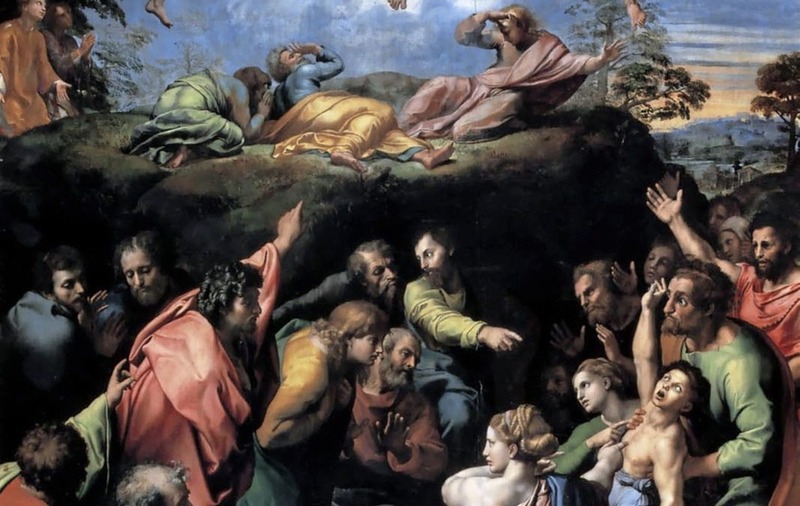 Raphael's painting of the Transfiguration of Christ is unusual in also depicting, in its lower half, a separate story from the Gospels - the Apostles attempting to free the possessed boy of his demonic possession. FREQUENTLY when we hear something for the first time, we are unable to grasp its meaning immediately - we need time to think through what we have just heard. This is particularly true of the words of Jesus. It is true also of some comments made by Pope Francis. For example, one day while instructing his disciples, Jesus said: "The upright will shine like the sun in the kingdom of their Father." What did he mean by those words, recorded in Matthew 13:43? Who are the upright, and when and where will they "shine like the sun"? A second example is a rather controversial remark made by Pope Francis: "I prefer a Church which is bruised, hurting and dirty because it has been out on the streets, rather than a Church which is unhealthy from being confined and from clinging to its own security." (EG 49) What does Pope Francis mean by this comment, found in Evangelii Gaudium 49? 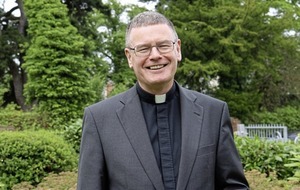 Does it challenge our image of the Church? The Gospel passage concerning the Transfiguration, as told by St Matthew, helps us to understand both the statement made by Jesus and that of Pope Francis. It describes the events on Mount Tabor when, in the presence of the apostles Peter, James and John, Jesus was transfigured and "his face shone like the sun". What actually happened on Mount Tabor; what did the apostles see? They saw a man at one with God. Jesus is not only divine, but he is also truly human. He had a human body, and was "like us in all things but sin", as Hebrews 4:15 tells us. He revealed what it is to be perfectly and beautifully human as God intended from the beginning. It is the glory of Jesus' perfect humanity which shines out in the presence of his Father, a glory which the Apostles glimpse. They, however, "fell on their faces, overcome with fear", because confronted by perfection, they recognised that they were limited by a thousand shortcomings. Yet Jesus had taught them to be unlimited in their yearnings for perfection, as they were destined for a higher life. He has taught us the same. This is the significance of the Transfiguration, and the meaning of Jesus' comment: "The upright will shine like the sun in the kingdom of their Father." This is the moment that the whole of life prepares us for. Perhaps you are disappointed that the Transfiguration is a revelation of perfect humanity and not perfect divinity? Jesus himself, as he came down from Mount Tabor, directed the Apostles as to where his divinity would be seen. He said: "Tell no-one about the vision until the Son of Man has risen from the dead." 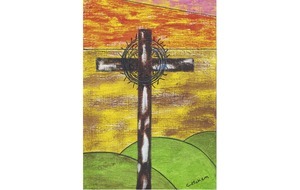 It was in his sufferings and shameful death on the cross that Jesus fully revealed the divine love of God. The scene on Mount Tabor offers a striking parallel to the scene on the Hill of Calvary. On one, Jesus is seen in glory; on the other, he is exposed in shame. 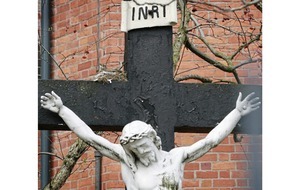 On Tabor his clothes are "as white as light"; on Calvary he is stripped naked. On the mountain he is flanked by two great religious figures, Moses and Elijah; on the Cross, there is a thief on either side of him. 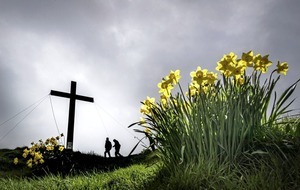 On Tabor, "a bright cloud covered them"; on Good Friday, "there was darkness over all the land". Peter, beholding the vision of Jesus transfigured, blurts out "it is wonderful for us to be here"; but he is not at Calvary; instead he hides in shame, having denied his Lord. At the Transfiguration, God declares "This is my Son, the beloved..."; beneath the Cross it is a pagan soldier who declares "this man was indeed the Son of God". In his bruised, broken, beaten body, destined to "shine like the sun" in his glorious resurrection, Jesus revealed his divinity and the wonder of divine love. The voice on Mount Tabor instructed the Apostles, as it instructs us also, to "listen to him"; Jesus, not only tells us, he shows us that our pathway to glory is by taking up our cross and following him. When Pope Francis declares, "I prefer a Church which is bruised, hurting and dirty because it has been out on the streets..." he is reminding us that the Church, and we as individuals, must imitate Jesus, for God's amazing love for humanity can only be revealed through our service and sacrifice. This too is the message of Lent. The Transfiguration holds before us Jesus' glorious humanity, so that we might know in our hearts, in our broken and wounded hearts, that this is our destiny; the Cross shows us the way. as we place all our hope in you."